Trading card games have never made me this happy before now. So, Bushiroad is a fantastic company. A lot of people have started playing Cardfight Vanguard which is their most prominent series in the United States. People like Bryan, Duc, and myself have decided that we can’t wait for their other card games. 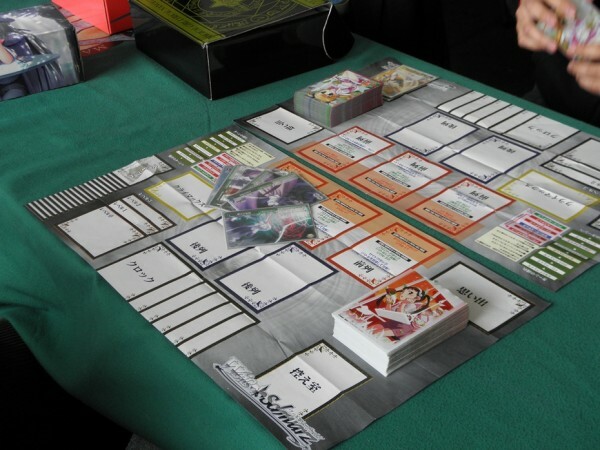 Weiss Schwarz is a trading card game from Bushiroad that is pretty damn awesome. The sets are all based on anime or video game series. You can have a deck with your favorite characters from things like Persona 3, Angel Beats, and The iDOLM@STER. If that doesn’t sound great, then we are very different people. Weiss Schwarz has quite a few sets, but they may not have your favorite series. I will link some sites to check out the cards at the end of this post. Well, the fact that the game doesn’t feature every anime out there, and the fact that new sets are still coming out, some speculation arises. What anime will get picked up next? Will they pick up more video games? Why is my favorite series not here yet? This is a top five list that will feature series that I need to have in this game. The qualifications for making the list would be a mix of practicality and personal bias. Here is hoping that I get even one of these in the near future. 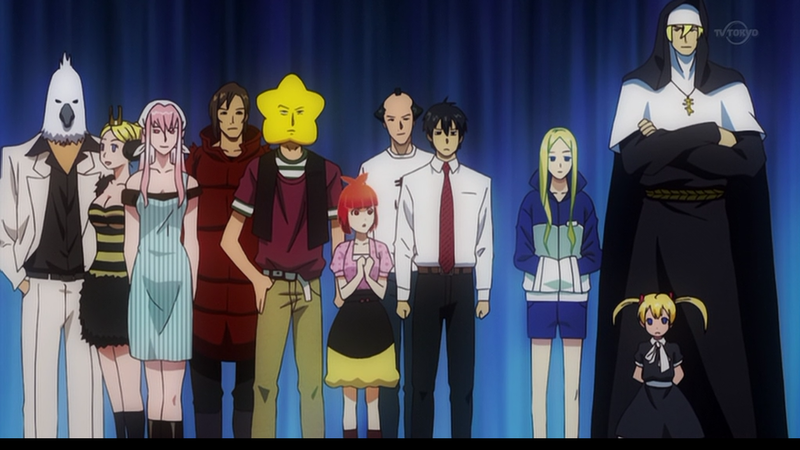 Arakawa Under the Bridge is one of my favorite anime series of all time. 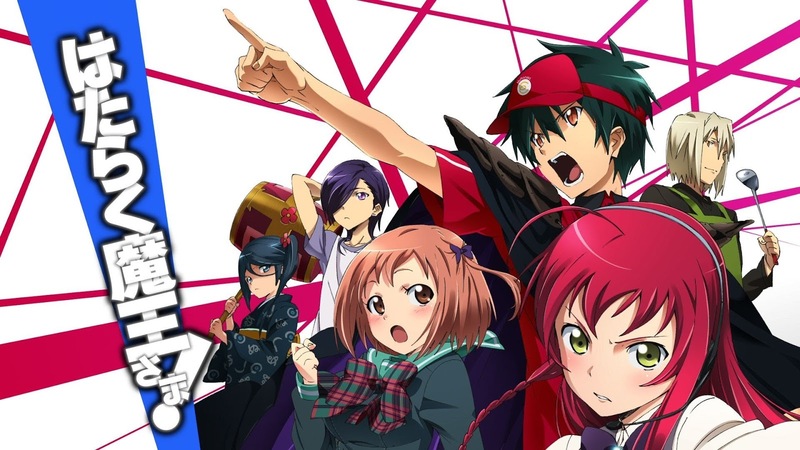 I would talk about why I love this anime, but I should talk about why it would make a good Weiss Schwarz series. There are other SHAFT series already in the game. Bakemonogatari and Mahou Shoujo Madoka Magica are a part of this and there are plenty of characters to make cards for. Also, it’s not like you need characters with special powers to make it into Weiss Schwarz. The iDOLM@STER and Love Live! get to be in it. 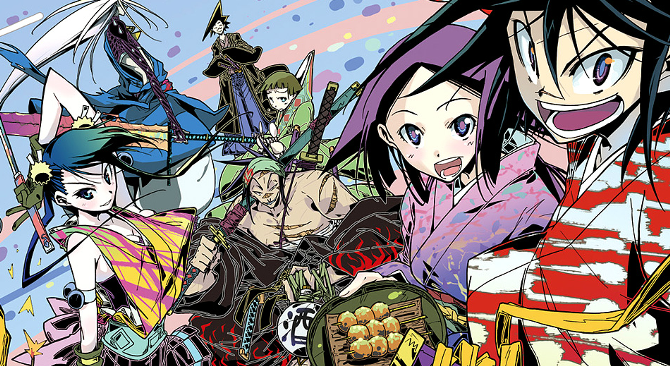 Arakawa Under the Bridge is pretty popular in my opinion. The only issue with adding it may be the fact that it ended a few years ago. New sets that are getting made aired pretty recently, so they may not want to go back that far. Having said that, there is enough material to make another season for the series. I would like to see this in Weiss Schwarz, but the fact that I don’t see it happening makes me keep it at number five on the list. This is a great new series. Here is a series that does not have the issue of being too old. Mushibugyou is currently airing and that does not make it too new to get to be in Weiss Schwarz. To Aru Kagaku no Railgun S is coming out this month and Suisei no Gargantia is coming out next month. That is right,m two series that ended last season are joining Weiss Schwarz over the next two months. Seven Arcs already has Dog Days and Mahou Shoujo Lyrical Nanoha in Weiss Schwarz, so they could probably put Mushibugyou in there. There are enough characters to make cards for and they do fight, so you can have cool attacks going on. I think that this would be a fun addition to the series, but it is not one of my favorites. Mushibugyou is number four on the list because it could easily be added to the game. Practicality is a factor. I will be honest here, this one probably won’t happen. I love this series and it is really popular. 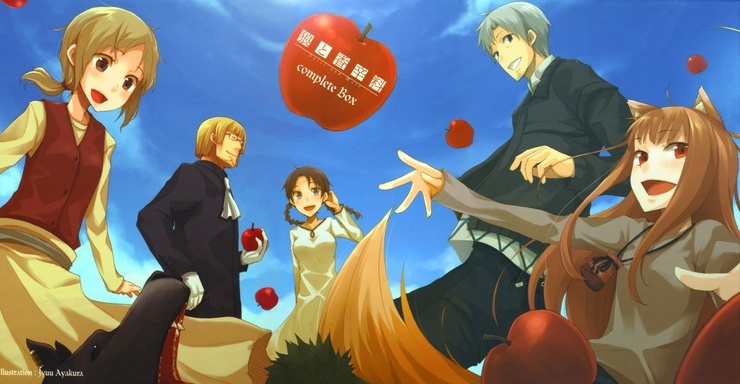 I think that a Spice and Wolf set would sell ridiculously well. People may think that there are not enough characters to make a full set, but Sword Art Online is pretty duo centric. You could at least make an extra pack set. This is a personal bias because the second season did end a while ago. Having said that, there is more material that could be animated. Another road block may be the fact that there aren’t any other series from Imagin in Weiss Schwarz. That is why Spice and Wolf is at number three. There is a good balance between the downsides, lack of characters and older, and the upsides, ridiculously popular and my personal bias. Do not tell me that this set would not sell well. Here is something that is not only recent, but would definitely sell fairly well. I know that To Aru Kagaku no Railgun S and Suisei no Gargantia were really popular, but I think they dropped the ball by not grabbing Hataraku Maou-sama! This would be a great series to get because I think it would balance well with the less comedic series that Weiss Schwarz picked up from the Spring 2013 anime season. There are plenty of characters and they have some fun powers that would make cool cards. I guess the biggest reason for this is the fact that I love this series. That is why this series jumped up to number two on my list. There is a great mix of popularity, personal bias, and the fact that it came out recently. It’s not like White Fox is new to the scene either. Katanagatari is in Weiss Schwarz already. Here is my ridiculously unfair bias. 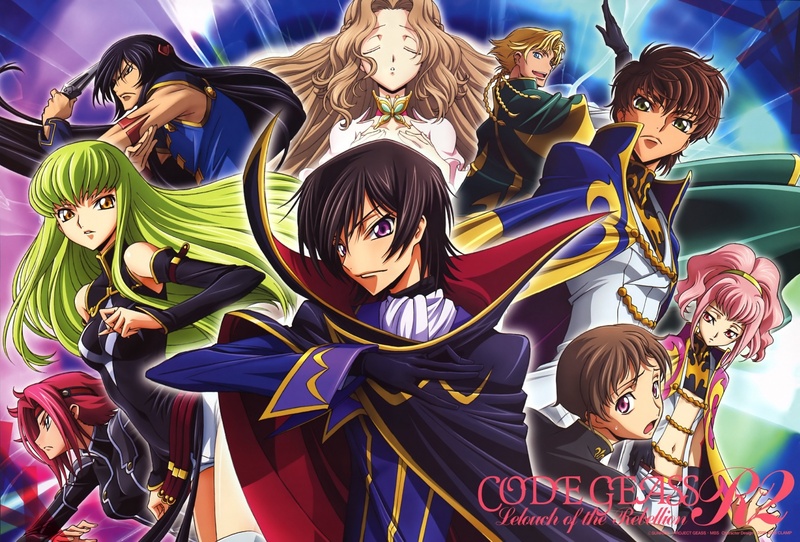 This would not be number one if it wasn’t for the fact that this is my favorite anime series of all time.Let’s go over things that would quality this for being a series. There are plenty of characters and I would think that the popularity would make it sell well enough. If you need the series to be recent to add it, then the Boku no Akito series is currently coming out. Sunrise has Love Live! School Idol Project in Weiss Schwarz already, so they have a connection. Where is my personal bias? I already said that this is my favorite anime of all time. I would drop bank to get a Code Geass deck for Weiss Schwarz and I don’t think that I am the only one that feels that way. There is no way that this would not be number one on my list. Here is the one problem that I have with Bushiroad. They are spreading out there anime series between multiple card games. 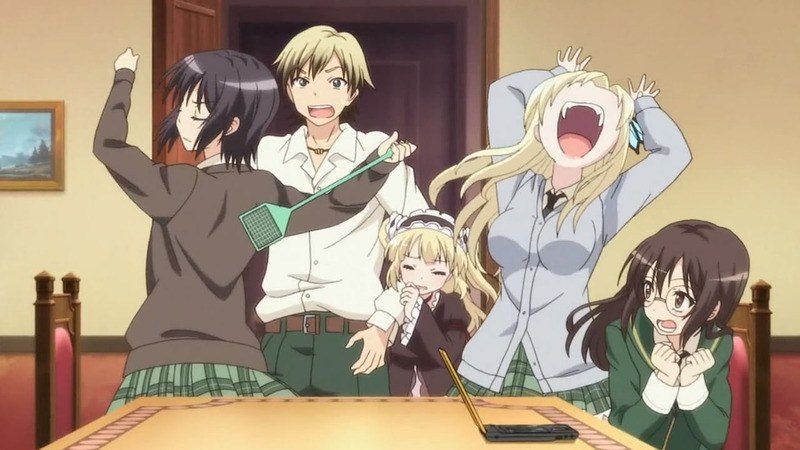 I love Boku wa Tomodachi ga Sukunai and I would go after these cards. Unfortunately, Bushiroad has another card game that is not as big as Weiss Schwarz called Victory Spark. Why is it unfortunate? They have things like Boku wa Tomodachi ga Sukunai, The World God Only Knows, and Date A Live. I am frustrated because I want these series, but I don’t want to split my funds between multiple card games. I am not sure how successful both series are, but I would think that having one game with all of these series would be smarter from a financial standpoint than trying to get multiple cards games up and running while keeping certain series trapped. To my knowledge, the series will not overlap. This top five list is rough because there are so many things that I want to see from Weiss Schwarz. The only english set that is out right now is Mahou Shoujo Madoka Magica, but Sword Art Online is coming out this month and more are set to release in the near future. A lot of people just buy Japanese cards and learn what they do. Bryan, Duc, and I play the game and it is pretty damn fun. It is not as complex as a Yu-Gi-Oh!, so it is easy to get into. Also, there isn’t an extremely strict meta game, so you can basically play what you want. I hope that you guys will check out the game, so here are those links that I mentioned earlier.